The CT ELITE HOCKEY showcases are put together by the collegiate hockey coaches at the University of Connecticut and supported by coaches from top prep school and DI, DII and DIII programs in the Northeast. Mike Cavanaugh is in his sixth eason as coach of the UCONN Men's Ice Hockey and is guiding UConn through its inaugural season in the high profile Hockey East conference this year. The Huskies have taken steps forward in each of their four seasons in Hockey East and are coming off a year where they collected their most conference wins (8) and points (20) in 2016-17. Last season also saw a pair of program “firsts” under Cavanaugh with Tage Thompson becoming UConn’s first-ever NHL first round draft pick when he was selected by the St. Louis Blues, 24th overall. In addition, Thompson (USA) and Adam Huska (Slovakia) became the first Huskies to play in the 2017 International Ice Hockey Federation World Junior Championship for their respective countries. Thompson and Team USA brought home the gold medal at the tournament. Prior to UCONN, Cavanaugh was at Boston College for 18 seasons in assistant and associate head coaching positions. During his tenure at Boston College, Cavanaugh was vital in establishing a decade-strong winning culture for the program in the Hockey East. As one of the nation's premier recruiters, Cavanaugh saw his efforts produce 27 National Hockey League players, a Hobey Baker Award recipient (Mike Mottau, 2000), 22 All-Americans and two USA Hockey College Players of the Year (Mottau, 2000 and Nathan Gerbe, 2008) in his 18 seasons - the last nine as associate head coach. He was named the winner of the 2013 Terry Flanagan Award by the American Hockey Coaches Association (AHCA). The Flanagan Award is given annually to honor an assistant coach's career body of work in the college game. Joe Pereira is also in his sixth season as assistant coach at UConn. His focus is forwards and recruiting. An enthusiastic young coach, Pereira joined the Huskies coaching staff just five years removed from winning a national title as a player at Boston University. Pereira graduated from BU in 2011 with a degree in business of management after a four-year career with the Terriers. In 2009, Pereira was a part of a BU team won the Beanpot Tournament and the Hockey East regular season and tournament titles and capped the season by capturing the National Championship. During his senior season, Pereira wore the "C" for the Terriers and ended his career as a two-time winner of BU's Bennett McInnis Memorial Spirit Award and was the Albert Sidd Unsung Hero Award winner. He earned Hockey East All-Academic honors and the Regina Eiberg Scholarship as the top student-athlete on the team. His professional career included stints with the Worcester Sharks and the Bridgeport Sound Tigers of the American Hockey League (2010-11), the Idaho Steelheads and South Carolina Stingrays of the East Coast Hockey League (2011-12) while also playing professionally in Sweden in the summer of 2011. Pereira began his coaching career working with the club hockey program at Sacred Heart University in Fairfield during the 2012-13 season. He helped lead the Pioneers to its first-ever Northeast Collegiate Hockey League championship. Before joining the Huskies, he also served as the Director of Scouting for Madison Avenue Sports and Entertainment. Prior to enrolling at BU, he played two seasons at the South Kent (Conn.) School, leading the Cardinals to their first appearance in the New England Prep Division I playoffs. He is a member of the South Kent Hockey Hall of Fame. Pereira is a native of West Haven, Conn.
Tyler Helton joined the UConn coaching staff in 2018 as an assistant coach. Helton has been a part of the UConn men’s hockey program since his freshman year in Storrs in 2012. 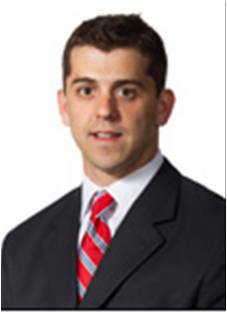 He assists theprogram working with the Husky defensemen, special teams and assisting with all aspects of recruiting. Helton initially joined Coach Cavanaugh’s staff in the fall of 2013 and has worked with the program as a student assistant and graduate manager over the past five seasons. He was responsible for developing scouting reports on opponents and worked with the entire coaching staff on practice planning. Helton worked with players in individual skill sessions and assisted with coaching the Huskies special team units. He was responsible for all aspects of team video including pre-scout and post-game video break down, training student managers on in-game video and stats and breaking down NHL games for use as teaching points for players. Away from Storrs, Helton has worked with USA Hockey district camps in New England and the Atlantic regions since the fall of 2016, scouting and evaluating top players and assisting with practice planning. He worked as a coach at the Western Regional High-Performance Camp in 2017 and 2018, working with players from the western United States. He began working with USA Hockey at the national camp in the summer of 2014 and has been a part of that program every summer since, coaching and evaluating players and assisting with player selection for the U17 and U16 teams. Helton completed an USA Hockey internship in Colorado Springs, Colorado in the summer of 2016 as well as working with the USA Hockey Five Nations team that year. He also served as a coach with the Yale Midget AA split season teams in 2016 and 2017. Helton, who played for the Huskies as a freshman in 2012-13, graduated with a degree in sport management from UConn in 2016. He earned his master’s degree in sport management in 2018. Matt Michno joined the UConn coaching staff in 2017-18 as a volunteer assistant and works with the goaltenders for the Huskies. Michno currently serves as the Director of Coaching at Pro Crease Goaltending. He spent last season working with the goaltenders at Brown University and the previous two seasons as an assistant coach at Connecticut College, where he helped the Camels to their best season in school history in 2014-15. Prior to Connecticut College, Michno was a volunteer assistant and the goaltending coach at Cornell University during the 2013-14 season. He has also coached and evaluated goaltenders at the USA Hockey Select 15 & 17 Festivals over multiple years. Michno earned a bachelor’s degree in sports administration and a master’s degree in coaching education from Ohio University. As a graduate student, Michno posted a 12-1 record and was tied for the league lead with five shutouts as a goaltender for the Bobcats’ ACHA Division I club hockey team. He earned Central States Collegiate Hockey League Tournament MVP honors on the way to the Bobcats’ league championship and was awarded the team’s Most Improved Player award after the teams run to the final four at the ACHA National Championship.